Christina laughing her head off after finally getting Comet to cooperate! 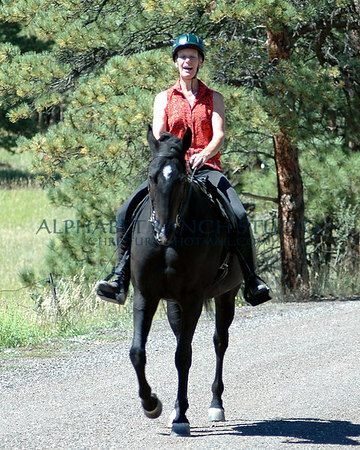 He was in his balking stage and I got him into a canter to get him "forward"! September 6, 2004.